This guy is almost the biggest bird I've made. I started him last week when the boy was at theater rehearsal. I had an audience - some of the younger actors who were not rehearsing at the time gathered around and watched as I began to build him. 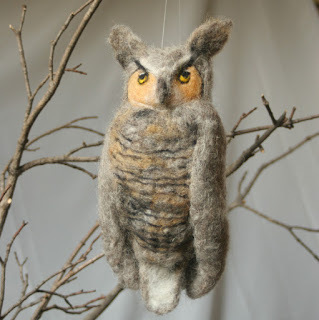 There were lots of questions about how the felting works, and was that really going to be an owl? 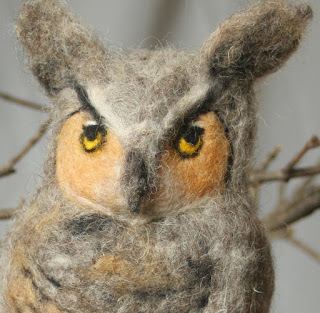 Owl faces are really fun, the eyes are so detailed. And I loved making the tufts!